Pauline Dakin spent her childhood on the run. Twice her family quietly disappeared, moving thousands of miles away. Many years later, her mother finally revealed they’d been running from the Mafia and were receiving protection from a covert anti-organized crime task force. But the truth was even more bizarre. As she revisits her past, Dakin uncovers the human capacity for betrayal and deception, and the power of love to forgive. 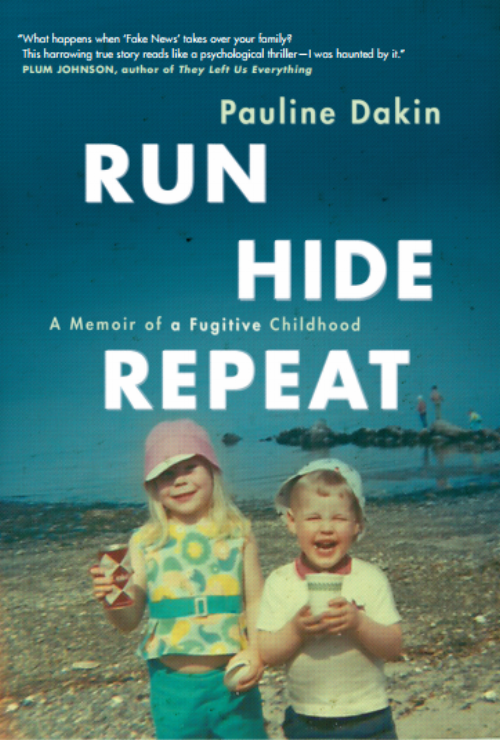 Run, Hide, Repeat is a memoir of a childhood steeped in unexplained fear and menace. As compelling and twisted as a thriller, Run, Hide, Repeat is an unforgettable portrait of a family under threat and the resilience of family bonds.